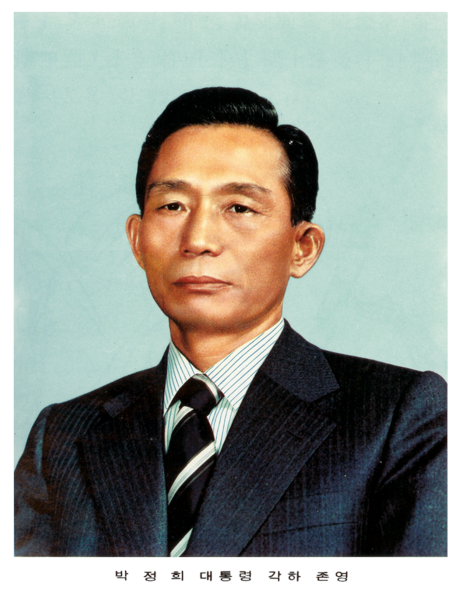 Park Chung-Hee was the former President/dictator of South Korea from 1961 to 1979 until he was successfully assassinated by the head of the intelligence services and one of this best friends. I am pretty sure the drink soju had a part to play in it. I say ‘successfully’ as this was the third attempt on his life. The first was by North Korea in 1968 with its infamous raid on the South Korean Presidential House, the Blue House. Thirty-one North Korean commandos infiltrated Seoul and despite a security alert, changed into South Korean army uniforms and marched towards the Blue House posing as South Korean soldiers. They marched to within 800metres of the building before a police group became suspicious prompting a firefight that continued for 3 days until all the men bar one were hunted down and killed. The one survivor was interrogated for a year and is now a religious pastor in Seoul. His entire family were killed due to his perceived treachery. The second attempted assassination by a Japanese North-Korean sympathiser had greater subtlety but ended in epic failure for every gunman in the room. The security detail fired back but despite two deaths, the two men who were meant to die weren’t even struck. Have a read..
At 10 a.m. on the Korean Independence day, August 15, 1974, she was shot and killed by Mun Segwang, a Japanese-born North Korean, while Mun attempted to assassinate Park. Mun’s first shot at Park Chung-hee missed. The second shot, aimed at Park Jong-gyu who tried to kill Mun, missed and killed Yuk instead. Park Jong-gyu’s shot ricocheted off a wall and killed a high school student, Jang Bong-hwa.